The itsy-bitsy spider has been underestimated for too long. It's been years since she made her home in that water spout but here we are still singing about it. The thing is, she's not a spider to be trifled with. Even if you didn't know anything about this little arachnid, you could tell she's tough at one glance, it's all in the black and red color scheme! After the water spout, this spider decided that she needed to move up in the world and up she went. She crawled up and out of the water spout, squeezed through the crack in an attic window, wound her way through the trap door, and ended up in the master suite of a grand mansion. The suited her much better! No, she lives in the grand lights of the crystal chandelier, eating whatever wayward flies dare to come her way. While we're still talking about her waterspout days, that's simply a distant memory for her, she's made it to the top and she plans to stay there! 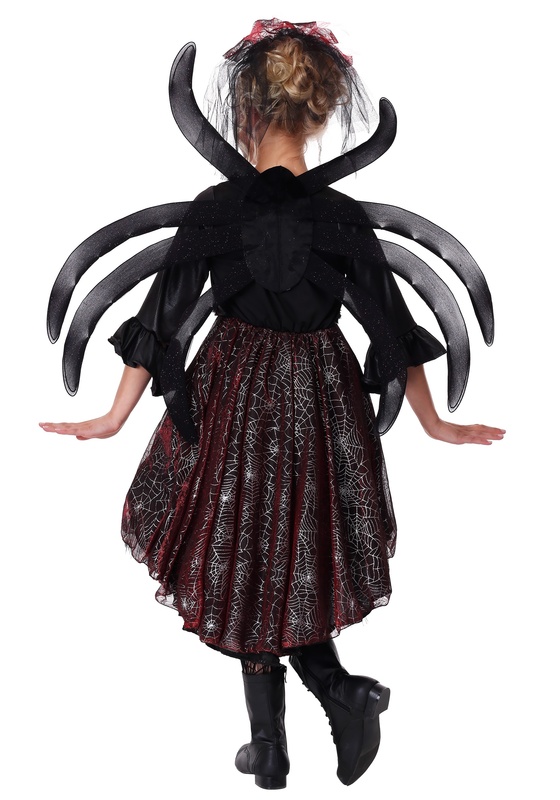 If your little spider is ready to take her web game to the next level, this spider costume is the perfect mix of spooky and fancy. 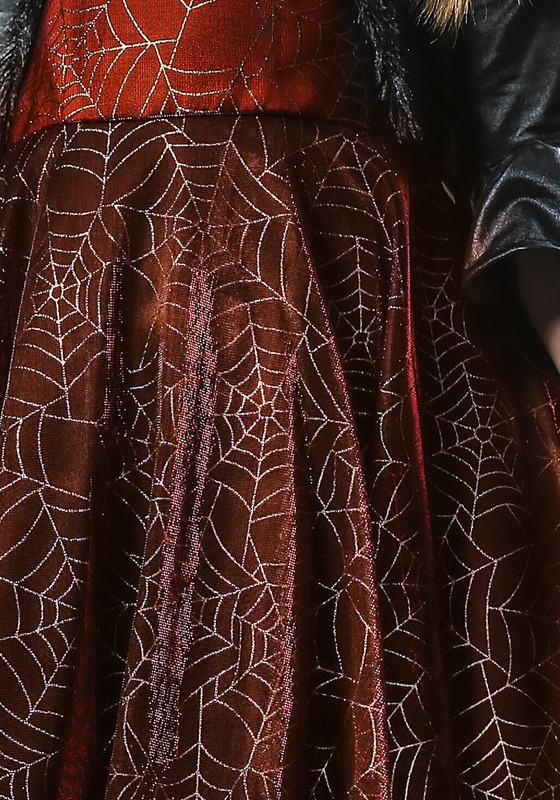 The web patterned full skirt has more twirl factor than any spider before, it rises in the front for easy walking and is long in the back for a dramatic look. 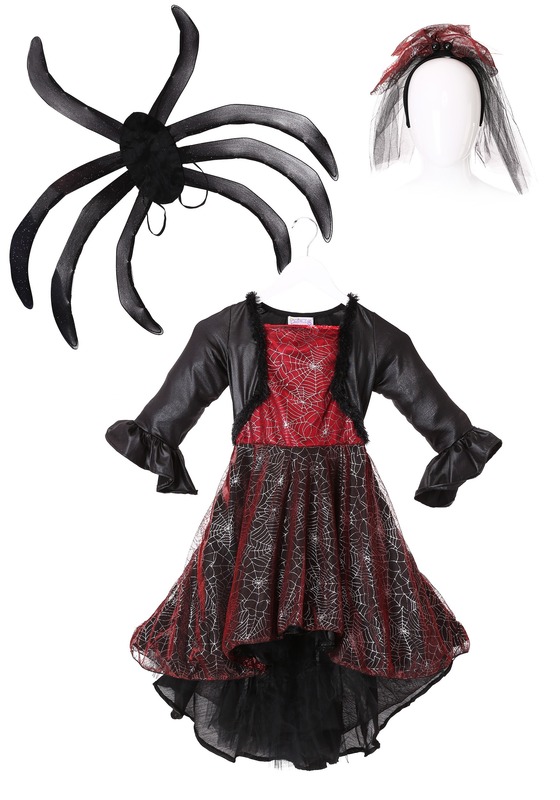 Your little one will love the sparkly spider legs. 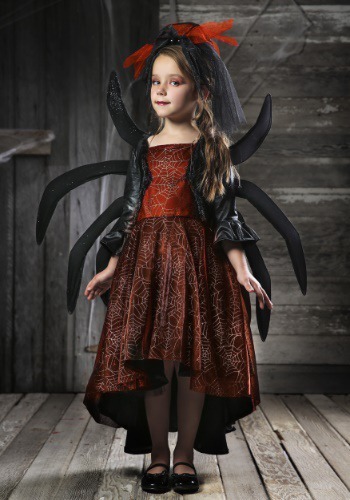 Top the ensemble off with the red and black headpiece and she'll be ready to show the world what an itsy bitsy spider can do!